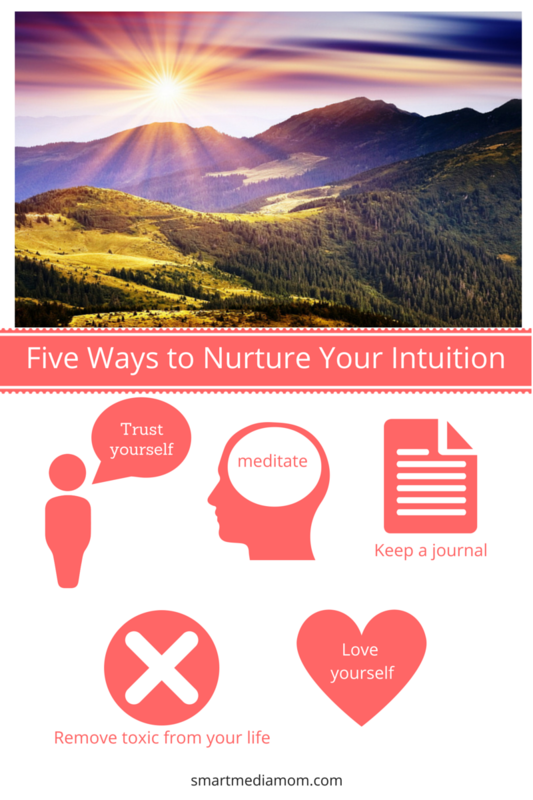 I have been fine tuning my intuition for years, sometimes it’s loud and obnoxious and very easy to hear. Other times I have to be still for a long time to get any message at all. I think of my intuition as an extension of myself, I need to exercise and nurture it to keep it in good health, to keep it sharp. Trust yourself: We all make mistakes, open ourselves up to the wrong people, and we’ve all been let down. There’s nothing wrong with us, we are living and learning. 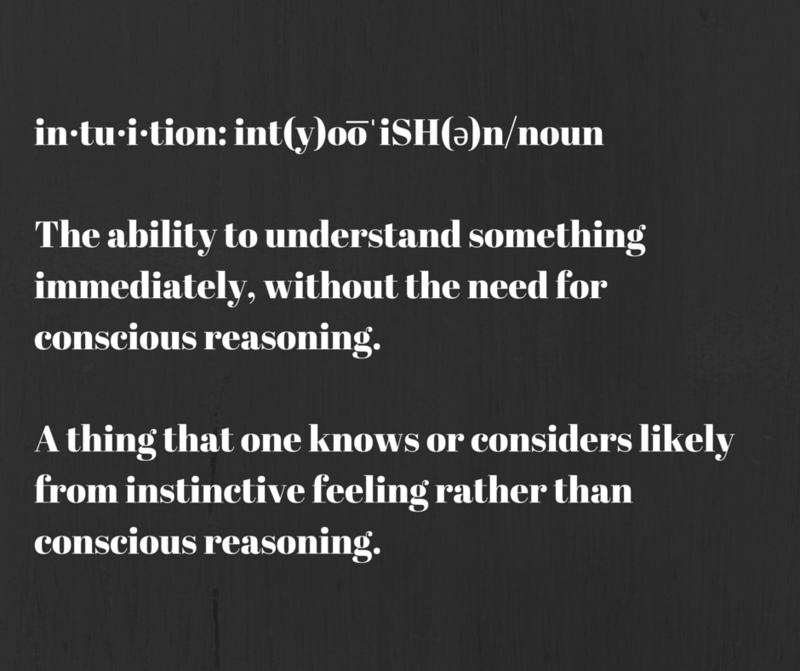 We often think of intuition as a magical thing but really it’s about hunches and those are formed based on our past experiences. So with every mistake, every let down, you are learning about the triggers, people, and circumstances that are harmful to you. When you encounter those situations again, your intuition – that first voice or gut feeling – will kick in like an alarm, warning you. Listen to it and trust yourself to know better because you do know better. Keep a journal: I am a writer, journaling is an essential part of my life and it’s always come rather easy for me. I realize this isn’t easy for everyone to do but you should try. There is a certain amount of freedom and empowerment by getting things out of your head and onto paper (or your laptop depending on when you were born). I know myself better because of this process and by knowing myself better I am able to trust my intuition immediately, without question. At first you will write about things, what you did, who you saw, where you went. If you keep at it, though, you will eventually move past that and begin to explore your feelings around what you’re doing, who you keep company with, and where you’ve been. This is when it gets good. You can read back on it, meditate and learn from it, and through it find the confidence to trust yourself better. Remove toxic influences: Whether it’s people, places, or habits, a toxic lifestyle crushes you and numbs your intuition. Cleanse your life of anything that may be damaging to your spirit. Discovering what is toxic in your life will mean incorporating the first three tips on this list. Take an inventory of your life through your meditations or by reading your journal. Note any patterns of bad behavior, triggers, or people who might be harmful. Be honest with yourself about it and above all, trust yourself to know better. This might be the toughest thing to do. It might mean walking away from what is comfortable and familiar but life begins on the other side of your comfort zone so take a leap of faith. Believe in yourself. Love yourself unconditionally: This is the most important tip I can give. When you love yourself, flaws and all, it is that much easier to trust and listen to yourself. No one knows you better than you, no one will give you the honest advice you really need better than you. It starts with tip #4 and it continues with daily practice and lots of discipline. This is the most cliché tip on the list. my big kumbaya moment, the key to all things is self-love. Everything good in your life will stem from it, including a sharp intuition. So work hard at this, practice everyday and be kind to yourself.